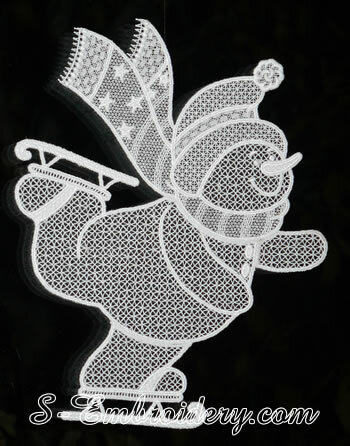 With this free standing lace Snowman machine embroidery design you will create a nice Christmas window decoration. 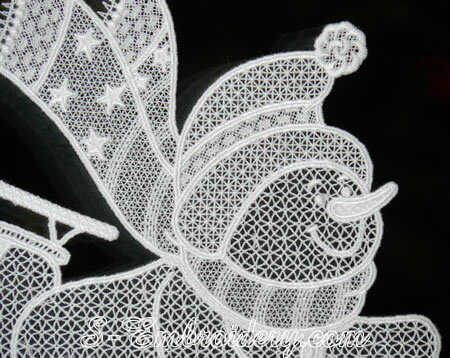 The ready freestanding lace Christmas ornament will have a size of approximately 8.7 x 10.8 inches (220 x 274 mm). The design is split into 4 parts. Each of them will fit in 5x7 (130x180) hoops. 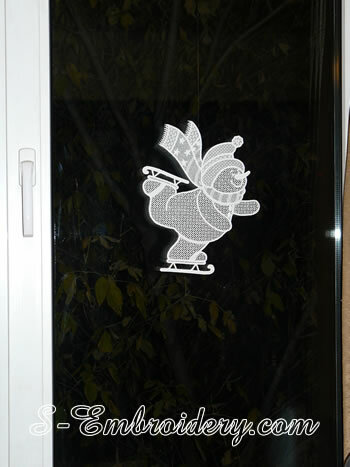 You receive 4 machine embroidery designs and 2 PDF files with design information and instructions for putting together the Snowman Christmas window decoration.